« Bestselling Author Princess Fumi Hancock Is Making 2014 Count! How did you find yourself writing a book? What’s the story behind your career? I was born in Africa but have lived in the United States of America for over 30 years. A little over six years ago, my father called me up and told me it was time to return home to Nigeria. I’d literally grown up in the U.S. and this was home to me. And although my father lived in the U.S. too, he felt it was time for us to give back to Africa. In 2007, I returned to Africa on a mission to be a part of this historic moment… the coronation of His Royal Majesty King Emmanuel Adebayo. It was also an opportunity to rediscover my roots. This was an important trip for me as I’d not been back for over 23 years! Equally important, one of my cousins was being crowned a king in one of the provinces and my father felt it was a great opportunity for me to reconnect with my roots. The journey was exhilarating yet filled with anxiety as I did not know what I was going to encounter. I trusted my father, packed my bags and went back to West Africa with my family. It was the most incredible journey of my life… to witness a King’s coronation… no words could describe the feelings. What was more important was the surprise which awaited me! The community people rallied around me and reminded me of who I was… their princess who had been gone for long and was now back! I took the time to revisit my childhood boarding school. Low and behold, all of my experiences at the school came rushing back. The characters that readers will encounter in The Adventures of Jewel Cardwell are a culmination of my childhood friends as well as “the conjured friends in my head.” These characters have consistently plagued my dreams and haunted my mind into bringing them alive. Every year, I would return to Africa (with my American friends) serving the children in the communities through my non-profit organization the Adassa Foundation, and I am reminded of the colorful ambiance and the need to share this part of the world with book lovers. As I began to paint this African adventure on paper, my sons, who were teenagers at the time, nudged me with their support and their instant enjoyment of the plot. Every time I would complete a chapter, they wanted more. They wanted to see what would happen to the characters. More importantly, they were intrigued by the description of the African setting, the culture of the people revealed through the different characters and the blended families relayed by the characters. Different characters elicited different emotions as they read alongside other young adults reviewing the story. While there have been some popular fantasy books like Harry Potter, Amanda Hocking’s “Trylle” series and Stephenie Meyer’s “Twilight” series, with settings in Europe and America, there has not been one to present other parts of the world. The characters in the Grimmlyn Series urge me to fill this gap! I want my readers to be transported to a place where they’d never been before. I want them to see how other people live in other parts of the world… I want them to also see how people like them, who have traveled to live in Africa, adjust to the culture and setting. The characters, although they reside in Africa, come from various parts of the world especially Europe. My sons were very helpful in painting vivid imagery of “the characters in my head.” Bola, my oldest son was inspired to travel across the ocean… and he made renditions of scenes directly from the book: www.worldoffumihancock.com. He, alongside his younger brother, composed and arranged the trailer songs. Do you describe yourself as an author? I see myself more as a story teller. One who has lots of characters in her play pen. I believe my stories mould or shape peoples’ lives. The topics discovered therein often cause people to think differently about their lives. Just this week, something very significant happened to me. 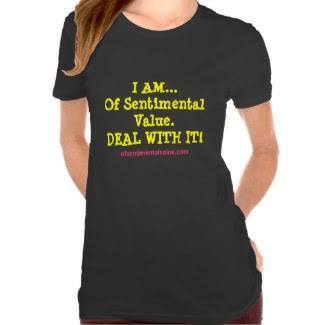 In preparation for my upcoming movie and fiction novel releases, Of Sentimental Value, I had created a slogan which I placed on a T-shirt: check it out at: www.facebook.com/ofsentimentalvalue. I asked my readers what they thought of it… and wow.. I wasn’t expecting the responses I got. Wow! Who would have thought a simple phrase.. ..Of Sentimental Value would mean so much. Needless to say, it has given me a greater appreciation for the power in the words that I relay to my readers. What do you think of the writing world? Are you happy being part of it? Tell me more about your latest book—where did you get the ideas? I think the behind-the-scene and the cover reveal will titillate my readers and prepare them for a great saga. This adventures promises to kick the fun and magical encounters up more notches! Thank heavens; this will not take me another two years to finish! What do you need to make your writing career tolerable? A sense of humor, being content at your level, and (argh) yes, a very thick skin for when the reviews start pouring in. Understanding that not everyone will love your writing. You simply learn to take the good, the bad, and the ugly… roll them up into one big, effective experience and push on. If you constantly have to defend your writing, worried about one bad review or many at that… you will not move forward. How many times have you rewritten a sentence to make it the “right” sentence? Oh gosh, who is counting? And who says what I’d just written ten times is “right”? As writers, we are our own worse critics. Thank God I have people in my life whom I trust to read my book during the editing period. They bottom line tell me to move on after they have seen me edit a chapter over 10 times, and that is no exaggeration. I am getting better at my literary OCD (Obsessive Compulsive Disorder). Argh! Oh, that is one tough question. When you find the right ingredient, please holler right back at me. I suppose great characterization—by that I mean unique characters, an interesting storyline which moves the story on, incredible backdrop stories and the location. Would you buy your book as a customer? A unique and thrilling African ambiance not familiar to many! Lying gracefully between the Vaal River in the north and the Orange River in the south, the rolling grassland and fields of crops rising to a lovely sandstone mountain, is Milner Court, Bloemfontein, a suburb nestled in the middle of Free State, South Africa. The Adventures of Jewel Cardwell: Hydra’s Nest magically transports its readers from the rolling hills of Bloemfontein to the beautiful farmlands of Bela-bela, South Africa. It is a fantasy-based coming of age story of a rebellious 17-year-old teenager who (through no fault of her own) is thrust into an environment ridden with unfamiliar and unsavory demonic activities when admitted into a prep school in South Africa. As Jewel Cardwell is relentlessly being trailed by an unapologetic family curse, she races against time to find answers before the curse wipes out all of her loved ones. In the midst of this demonic war, she becomes entangled in a love triangle between a young rugged-looking Darwin Morton who she grew up with on Milner Court and the very wealthy and popular high school soccer team leader with the silver spoon in his mouth, Eric Broder. Now, more to the great question… would you read it? What ingredients make your book a great read? My books, especially my fiction books, transport my readers to a world unfamiliar to them… Africa! I love the colorful traditions… the people…their nuances and just the richness of the culture. I draw my inspiration from the people I have met through my life journey growing up in Africa and of course, those I have conjured up in the fantasy and mystery world in my head. What ingredients make my book a great read? The people!… The fabulous culture! The authenticity of the characters as they play out their lives… the magical places they travel to throughout Africa… their strengths… their weaknesses… their ability to thrive in the face of hardship and the reality my readers also end up facing….Need I say more? What makes your subject interesting? http://www.worldoffumihancock.com COVER REVEAL OF JC (Jewel Cardwell) Sequel. Did I say this has been made into a movie and is scheduled for release soon? I can’t wait to see the movie! I have to ask you this one– what makes you an interesting author? What makes me interesting? I am like an onion… when you peel the layers, you never know what you will find… So, keep peeling away. How many times have you wished you’d started writing earlier? I don’t believe in regrets. If I think about it, it will impede my writing abilities. Particularly for someone like me who started very early then quit for another 25 years to pick it back up again. In retrospect, the truth be told, my life is richer now with more life experience to pool from. My first crack at a novel became a bestseller! So, you see, I can’t afford regrets at this point. Okay, I have some book crushes… Here we go: J.R.R. Tolkien, author of the “Lord of the Rings” series. I am totally captivated by his writing. So, what’s the purpose of your book? Simple… to inspire, to motivate and empower people to follow their dreams no matter what their age. Above all, just pure entertainment. How much time did you spend writing this book? When I start a project, I write at least 4-5 hours a day for 5 days. Bestselling Young Adult Fantasy Author, Fumi Hancock Unveils Her new book, Of Sentimental Value, a dramatic suspense about a young African Immigrant in America. Fumi “Stephanie” Hancock is a walking example of how an ordinary person from a shackled life of broken promises and shattered dreams can live a fulfilled destiny. 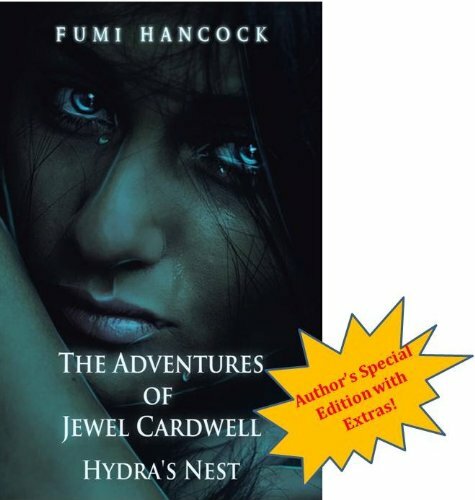 After twenty years of dropping her pen, she picks it right back up again by releasing The Grimmlyn Series: The Adventures of Jewell Cardwell, Hydra’s Nest. November 2012, the Young Adult Novel became an Amazon Teens Bestseller! Since then, she has not stopped. Her next novel, a dramatic suspense/mystery novel, Of Sentimental Value has been made into a feature film! It is scheduled for release this 2014! Stay tuned! 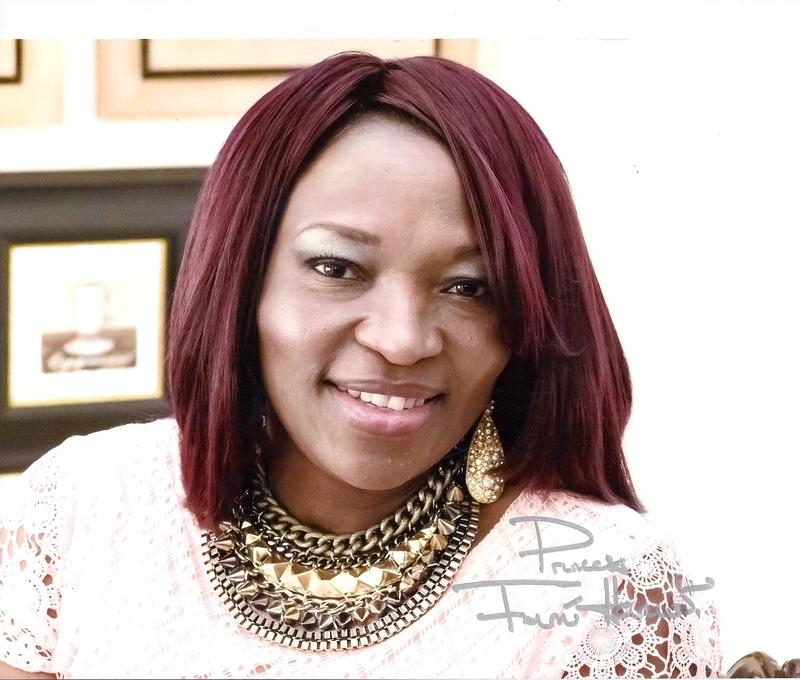 Though having graduated with a postgraduate degree in communication arts, and undergraduate degrees in English studies and nursing, she ascribes her writing to her life experiences, which were many times challenging. According to her, the protagonists and antagonists in her novels often come from the darkest moments of her life–a tribute to the fact that something good can come out of mysterious and difficult circumstances, if we choose to turn our challenges around. Age is merely a number where success is concerned. She also pulls some of her characters from her travels around the world–in particular, exotic Africa–uniquely weaving her tales. Fumi loves to write for young adults, particularly urban fantasy, and paranormal nonfiction with a touch of romance. She aspires to one day write a mystery/detective novel for the adult audience. But for now, she is content with her young adult audience. With her background in nursing, she gently nurses her unusual characters to life for her readers to enjoy. She lives in Tennessee with her husband, Dr. David Hancock, and her two grown sons, Bola and Demola Thompson. She cherishes her two stepdaughters, Holly and Marlee who reside in Michigan. ON the Air with Princess in Suburbia – COMING SOON! STARRING HOLLYWOOD ACTOR~MALIK YOBA, TOMMY “TINY” LISTER, Africa’s Golden Boy, JOHN DUMELO, Nollywood’s Veteran, VITALIS NDUBUISI, WINNER OF THE P90X $100,000 CHALLENGE~ RICHARD NEAL, NASHVILLE’S L’OPRAH~ALETA MYLES, LEAD MALE ACTOR, AFRICAN ACADEMY AWARD WINNER, PATSHA BAY & The PRINCESS OF SUBURBIA HERSELF, PRINCESS FUMI HANCOCK. .